Can virtual reality help reduce the pain of medical procedures? When I was a child, I dreaded seeing the doctor. Before a visit, my heart beat faster, my vision went blurry and I would feel light-headed. This was because most visits involved needles, and I hate needles. Does this experience sound familiar? 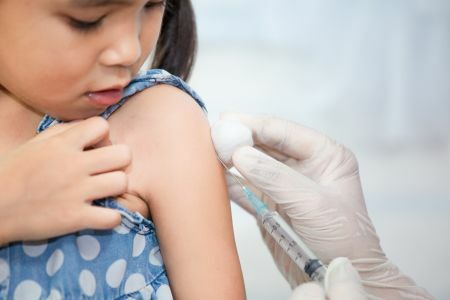 It’s estimated over 60% of children have a fear of needles. For some, this fear can lead to anxiety and, in extreme cases, aichmophobia (a fear of all sharp objects). If we could find a way to break the association of a doctor’s visit with pain and fear, it would be a huge relief for children—and their parents! Thankfully, with modern tech, we’re already on our way. Dr Evelyn Chan has seen many children who were anxious and distressed about having a needle. Her experiences as a paediatric doctor inspired her to create Smileyscope—a virtual reality (VR) adventure to entertain and distract children from painful procedures like needles. 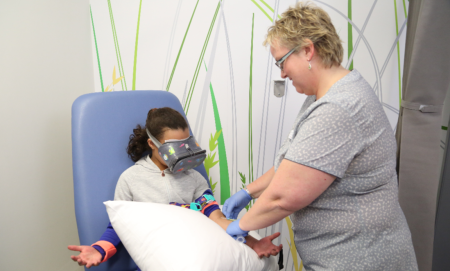 Virtual reality is an ideal solution as it allows children to “virtually escape the scary procedure room”, she says. When children put on the Smileyscope VR headset, they go on an underwater adventure. Children blow bubbles, feed fish and search for other exciting sea creatures. Smileyscope is easy to use, consisting of a smartphone and Google Daydream VR headset. Doctors can choose from short, medium or long experiences for different procedures. Smileyscope is being used in 20 hospitals across Australia and the United States, including the St John of God hospitals in Perth. It’s also given researchers something to smile about. 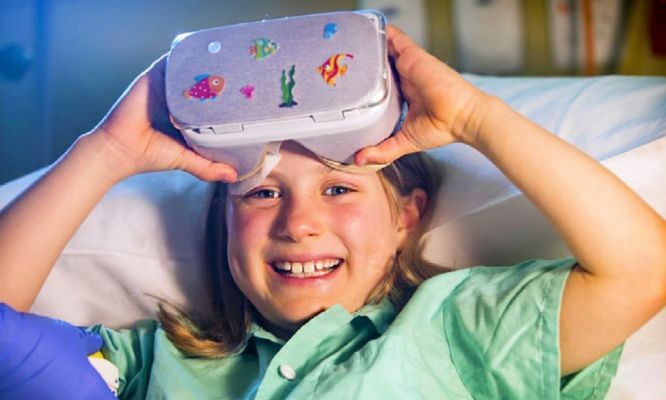 Monash Children’s Hospital and the Royal Children’s Hospital in Melbourne led the world’s largest paediatric needle VR trial. The effectiveness of Smileyscope was tested with 252 patients aged 4 to 11 years. Compared to current practices, Smileyscope reduced pain and anxiety. 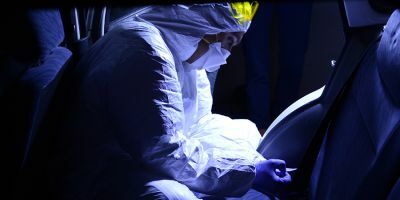 Smileyscope was designed specifically for needles, yet Evelyn reports clinicians are using it in creative ways, including for wound dressings, suturing and before anaesthesia/surgery. Monash Medical Imaging has also found Smileyscope helps with medical imaging. Using Smileyscope significantly improved children’s cooperation and anxiety before MRI scans. 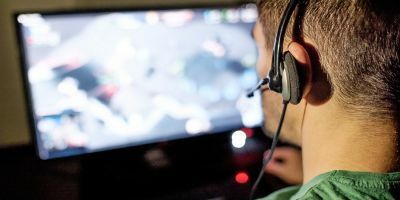 Virtual reality experiences are safe with little to no side effects. One possible side effect is nausea, which can be fixed by removing the headset. But what is it about these experiences that make them so effective in healthcare? Those cute pictures of puppies on your dentist’s ceiling have an important purpose. You feel less pain when distracted. Pain is not just a physical sensation. Your mind influences the feeling of pain. If you focus on pain, it will feel more intense, but if your mind is distracted, it will feel less intense. Virtual reality offers a more immersive distraction than pictures, television or toys. Wearing a VR headset also prevents patients from watching the procedure. As VR becomes cheaper and more accessible, it is becoming a popular tool in medicine, including treating phobias, anxiety, pain and more. Soon your visit to the doctor could include a virtual trip to a relaxing beach. 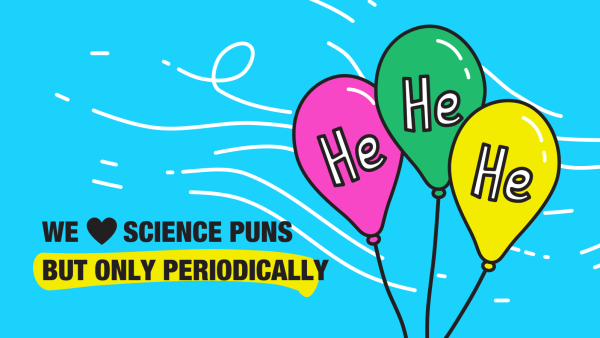 Megan is a science educator and communicator. She is one-third of the podcast Press X to Science which explores the intersection between gaming and science. Megan is a tech enthusiast and loves exploring learning through games. Her favourite video game is The Witness. Did you know WA is home to what is probably Australia’s only video game console museum? Is that new doll spying on your kids? What if strangers are using one of your child’s toys to spy on them? In the new world of connected toys, truth can be spookier than fiction.